Posted in Ayahuasca, Books, DMT, Evolution, Language, LSD, Psilocybin, Salvia divinorum, Terence McKenna (mp3). Around the 12:40 mark, when the lady in the audience was asking a question and in the back ground I can hear an echo of Terences voice. I cant understand the words but I know it him, is this an audio anomaly of some sort? Terence’s argument against determinism is so weak. I am not a big advocate of worry but I would say the lack of worry about the consequences of starting a war for example is a far more dangerous form or egomania. Worry is often the warning prelude allowing intelligent action to avoid danger, heartbreak, and loss. Sometimes people regret not paying attention to a worrisome feeling. A constant state of worry is obviously unhealthy but how exactly for another example should native tribes who were being wiped out by European invaders have felt when they saw what was happening to them? I don’t think they were particularly plagued by egomania. Very grateful to Lorenzo for making these tapes available! I have donated to the salon and hope to join one of the Monday forums. They just keep falling on a weeknight! As mentioned, these tapes were given to me after the conference by the kindly staff at Esalen. They were stored in my parent’s attic in central CA for twenty years, under a black roof in the baking sun and I’m frankly astounded at the sound quality — nice work. It’s a bit surreal, like attending a conference that had such a lasting impact on my life all over again. 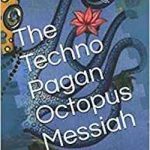 The first time I heard Terence’s voice was in person and I remember being entranced by his leprechaunic sing-song and getting distracted by some of his throwaway remarks: time as a landscape, novelty having no morality, speaking of someone as “an avowed technopagan”. Even while talking about the ultimate goal of humanity, the internet or his infernal timewave, he always seemed at play. Not taking himself too seriously. Happy to surf the wave that is language. This particular podcast was a bit bittersweet. The dude who asked T about mapping his experiences onto myths and vice versa (playing a game with leprechauns that might yield something of value) around the 1:07 mark was a very good friend of mine who died a few years ago. His name was Greg Junell and Terence took an immediate liking to him, as did most everybody. I met Greg and his best friend Moorlock at that conference . In their capacity as mail order ministers with the church of the subgenius,the two of them married my wife and I on a beach not far from Esalen. They were, in Terence’s words, the people in the room who had what I was looking for. Greg was also my “stay cool, guy” working the pipe the last time I smoked DMT. Anyway, after a horrible 2nd bout with leukemia, Greg took Bodhisattva vows and died. When I found out, my immediate impulse was to fly to the Amazon and go on an ayahuasca retreat but the cost was prohibitive given that we were moving house. When I read about ayahuasca being referred to as the brew of souls, or banisteriopsis being called the ancestor’s vine I think of Greg and wonder: has anyone else contacted, or been contacted by dead relations while on DMT? Like what my buddy describes? I would love to hear them! Anyway, there’s a whole community who was thrilled to hear Greg’s voice again — and talking to mfing Terence McKenna about leprechauns no less! Again, just really grateful to Lorenzo for putting this out into cyberdelic space. Means a lot to a lot of people.